When you are running a business that relies on fantastic customer service, it is important that you always run your workplace in a way that optimizes communication with your consumer base. Nothing is more frustrating to a customer than not understanding aspects of a service or product, so it is important your employees can handle every situation in a courteous and effective manner. Doing so will help increase the reputation of your brand, allowing your business to grow in ways you never thought possible. 1. What Are You Struggling With Right Now? It will be nearly impossible to solve a problem without first identifying what a customer is struggling with. Asking this simple question will allow the customer to directly relate their current issues to their customer representative. It is important to remember that the customer wants a convenient service experience, and this provides a good way to provide just that. A properly trained representative will be able to quickly adjust to this direct information, providing the necessary service in response. Additionally, asking the customer this question will show them that you care about their problems, and that you are focused on finding a solution to them. Poor customer service will try and find any problems prematurely. Doing so risks making the customer frustrated, as they may be forced to correct the customer service representative about their already frustrating situation. Ultimately, you should be aiming for an assistance experience that will require little to no effort on the customer’s part. 2. Are You Happy With Our Services? The next three questions on this list should be asked after a service has been completed. Proper follow-up questions can make the customer feel appreciated, and provide your company with excellent notes that will benefit your employee’s abilities to serve the customer base in the future. Asking a customer if they are happy with the services provided to them will help you strengthen their opinion of your company. If they had a great experience, they will become more aware of it, and if they had a negative one, they will feel that they are being paid attention too. As a customer, people want to feel their opinion is valued, and this question will allow them to experience this in a healthy and beneficial manner. At first you may think this question should only be asked if a customer communicates a negative experience. However, this question can be beneficial in positive customer service experiences as well. This is because you are once again showing the customer that you care about their opinion and are dedicated to providing better service at every corner. Another benefit of this question is that it allows the employee to constantly keep an attitude that values self-improvement. It is of utmost importance that your employees never feel that they have nothing to improve on in relation to their customer service abilities. Ultimately, with this simple question you are benefiting every partner in the business relationship. 4. Do You Know Anyone Else That Would Benefit From Our Services? Now that you have helped the customer through their problem and made them feel appreciated, it is time to expand your consumer base. Asking this question will prove most effective in scenarios where the customer has experienced a high level of satisfaction, but it can be useful to ask in a negative scenario as well. Gaining contact information from a customer can lead to possible sales to customers who will be more open to your services. Since the person you will be reaching out to will feel more comfortable with you, seeing as how you gained their contact info from a person they trust, you can approach the sale more comfortably. With this contact approach, you can be more direct and casual about your sales pitch at the same time. With these 4 questions, you can start training your employees to understand the basic customer service qualities they should master. While each service experience will be different, having a good base to build from will make your employees chances of success that much higher. Having frequent training blocks can keep your workforce focused on aspects of customer service that truly matter. 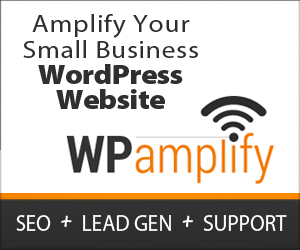 For great tips on these sorts of strategies, and many other helpful business practices, check out more of our content at WPamplify. Our blog posts provide frequent guide, tips and more that will help you amplify your business’s success!